Picturesque beaches, endless fiestas, and bottomless tequila are usually what come to mind when people think of Mexico. But nestled in the hills of Baja California is the hidden gem that is Valle de Guadalupe. Valle de Guadalupe has come to be known as Mexico’s response to California’s iconic Napa Valley and the fast-rising Temecula Valley— minus the hefty price tags and elaborate tasting rooms. Using a fine balance of its warm climate and high-altitude breeze, the town is able to tend its flourishing vineyards and produce some of the finest wine in all of Mexico, according to food and beverage writers Per and Britt Karlsson. 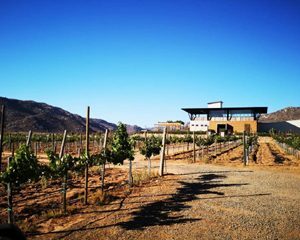 If you ever find yourself on Valle de Guadalupe’s shores, here are a few stops to make — which includes, of course, having a taste of their fresh vino. You’d be hard pressed to find a wine that is more deeply concentrated than the Torres Alegre y Familia “Cru Garage” Nebbiolo. This potent bottle contains an explosion of fruity flavors, prominent red berries and an undeniable earthiness that makes you think this is what grapes should taste like. On the other hand, if you’re looking to enjoy your delicious glass with an equally spectacular view, look no further than Monte Xanic’s tasting room, which offers a panoramic view of the entire Valle de Guadalupe from the deck of its winery. The stadium draws inspiration from the region’s history of brewing and steel manufacturing, as exhibited in its unique tripodal structure that looks almost like a life-sized sculpture. 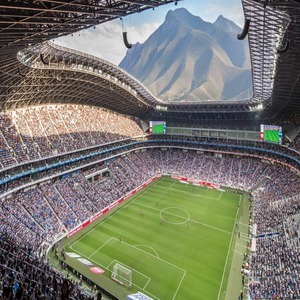 Interestingly, the stadium was built in the shadow of the Cerro de la Silla mountain which looms through the roof providing a jaw-dropping background for spectators. All in all, tourists will find it a captivating and awe-inspiring sight. Even if you’re not religious, the basilicas are architectural wonders worth visiting. It’s also the perfect way to immerse yourself in the local culture. 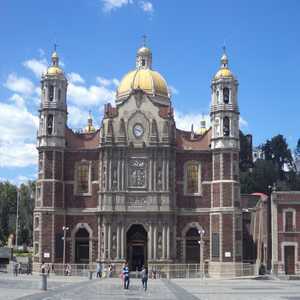 Mexico’s most popular Catholic destination is the Basilica de Guadalupe, the world’s top Catholic pilgrimage site. In fact, over 20-million visitors make their way to the Basilica annually, just to see the site where it is said the Virgen de Guadalupe appeared to San Juan Diego. To experience a more traditional side of Mexico, there’s no better way to tour the place than on top of a horse. At present, horseback riding remains a popular activity and mode of transportation for tourists and locals alike. Charro outfit optional. Head to the Adobe Guadalupe, the largest breeder of Azteca sport horses. 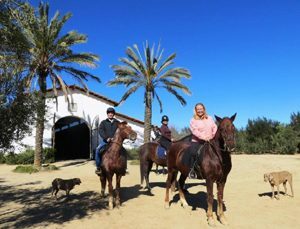 Here, guests can enjoy riding on trained horses, which is excellent for beginners and seasoned riders. Mexico has its fair share of nature scenes, but it isn’t all just deserts and tumbleweed. Thanks to its pleasant Mediterranean-like climate, the Valle de Guadalupe makes for a wonderful hike. Its most popular trail can be accessed from Mogor Badán and takes around four hours to complete a round trip up to its peaks.